Our range of products include edge shirts. We are renowned firm presenting widely demanded grades of Edge Shirts. 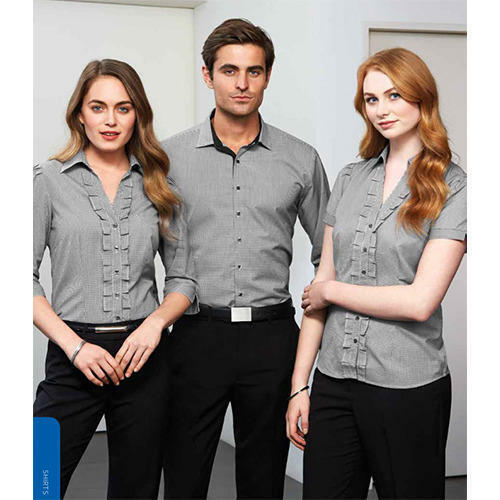 Fabricated from quality tested composition of polyester and cotton the offered shirts work best for hospitality and corporate sector. These shirts are designed in subtle color that set the professional mood, whereas the smart collar adds confidence. Further, these shirts are wrinkle free and can be washed easily.